When we moved to Richmond four years ago, I really had trouble adjusting to being here. The reasons were many, but my favorite boy toy felt that if we fixed up the backyard to make a place to sit and relax that I might be happier. He was right. 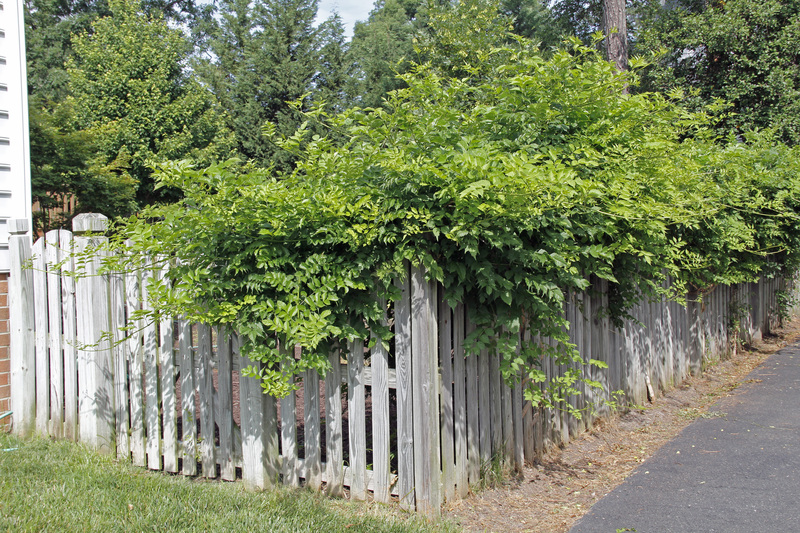 One of the things we did was to add this trumpet vine along our fence. This picture is actually from our neighbors side. You can see how their driveway is right on our fence line, leaving no privacy. Our neighbors are very nice people, but they also wanted a little more privacy when in their driveway. The trumpet vine was pretty small when we put it in. . . but look at it after four years. As the trumpet vine shot up new little shoots, I dug them up to add to the fence line. It worked! We’re happy, our neighbors are pleased, and the wall of green is very pretty. Add to that another maple tree plus watering and feeding another tree in the back corner and voila! We had a wall of green. The flowers are just starting to open, so the hummingbirds will be back soon. Last summer they buzzed me several times when I sat on the deck. They’re fast little zippy things but so very pretty. Word for tomorrow – WEEK. If you prefer to work ahead, see the list for the week under “A Word A Day”.